and less then a week until I defend my thesis. After working on it a few hours last night, I’m ready to enjoy some Saturday biking and birthday party. But before the fun, Rob and I have some more house projects to finish up – small steps on the way to getting our house ready for tenants. I’ve also been getting rid of unnecessary things through our hyper-local buy nothing group (like Craigslist free for a small community where people actually know each other). Hopefully someone will take our old Christmas lights. 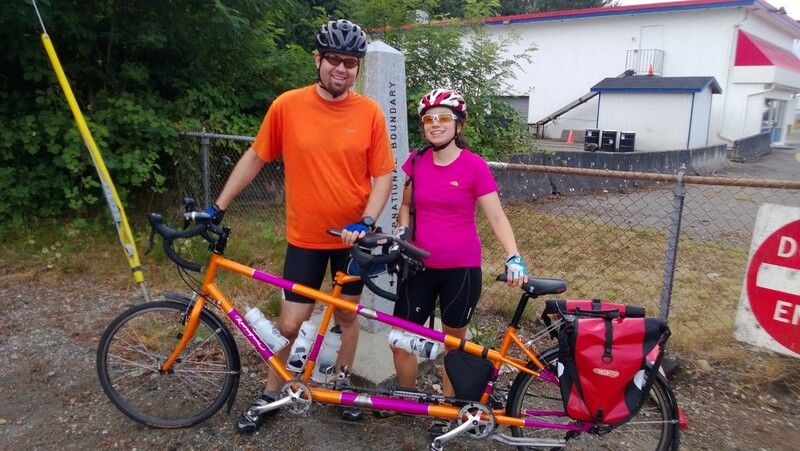 Rob and I have done several bike camping weekends – High Steel Bridge, Lopez Island, Mount Rainier, Chelan to Washington Pass, etc. Now we have 10 days of bike touring in Sweden planned with just us. 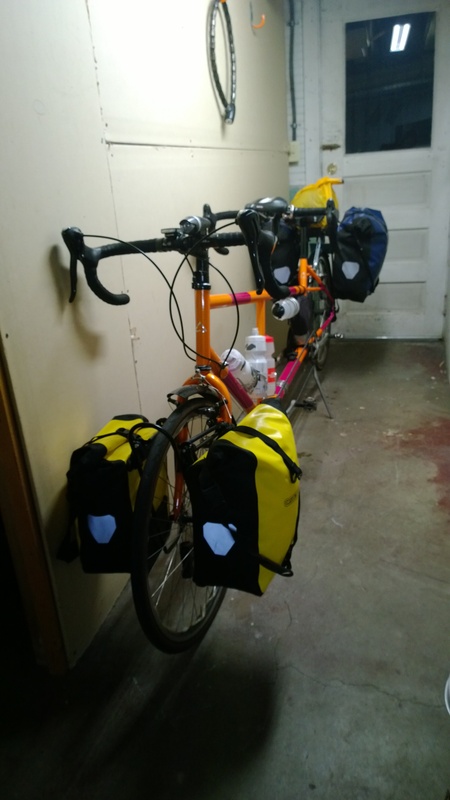 We’ve always managed with just the back panniers, but no way this will be enough for 10 days. Last night, we put on the front rack and did a practice pack of the bike. 1st attempt at packing the bike. The packing list so far. Gloves fingerless and fingered pp. 1 set bike shorts pp. 1 set convertible shorts pp. Resources used: shesnotpedalingontheback.com (also tandem tourists), The Adventure Cycling Handbook (doesn’t have a detailed packing list but talks about how to dress). Today, we rode 33 miles on an ETC ride with the packed bike. At speed we were very stable, but low speed maneuvering definitely suffered. Rob weighed our bags and it came to 47 pounds. We tacked on another 10ish miles without the gear getting dinner and beer in Ballard. It felt amazingly light without all our stuff. We definitely need to put on some more miles before our trip. Amanda and Rob met during orientation at Rice University in Houston, TX. 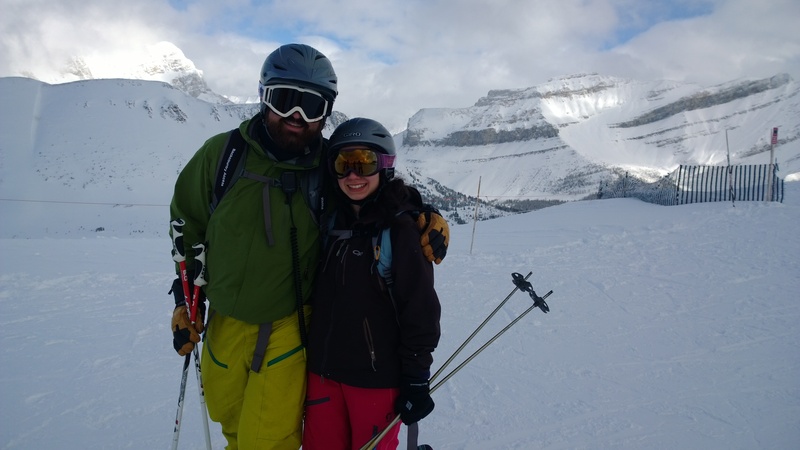 After graduating in 2008, we moved to Seattle to pursue our careers in engineering via grad school and the tech industry, respectively, as well as the numerous outdoor activities available in the Pacific Northwest. We enjoy skiing, cycling, hiking, backpacking, cooking and kayaking.